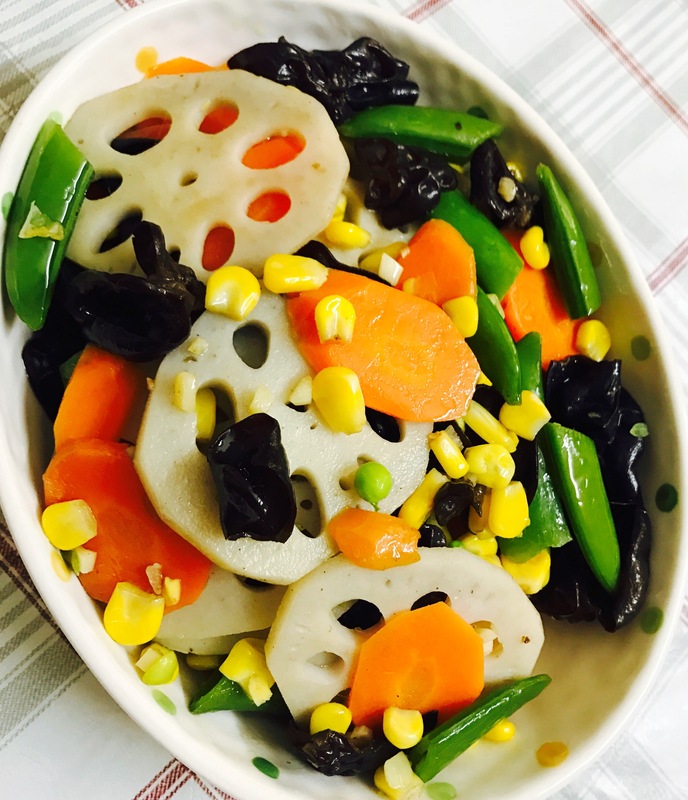 This dish has a beautiful Chinese name, which is “He Tang Xiao Chao”. “He tang” means pond full of lotus, and “Xiao Chao” means stirfry. The dish is very colorful and pleasant to the eyes. This dish requires many different vegetables. 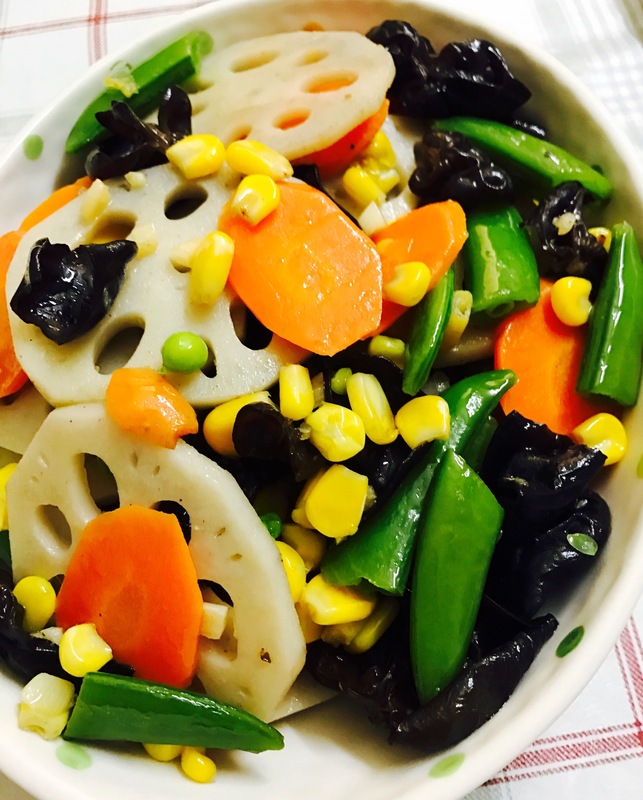 I always like lotus root, black fungus, snow peas, carrot and kernels. 1. 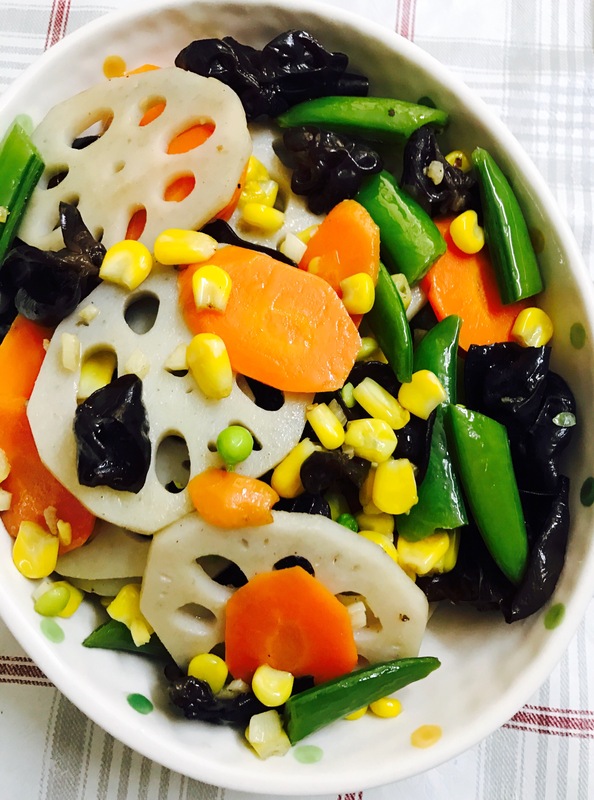 Put lotus root slices and carrot slices in a deep pot. Pour in enough cold water and add in some salt. Turn on the stove. 2. When the water boils, add in trimmed snow peas. Boil for another 2-3 mins. 3. At last, add in black fungus and kernels. Boil for another 1 min. 4. Rinse all the vegetables and drain. 5. Heat a little oil in the pan. Sauté chopped garlic. 6. Put all the drained vegetables in the pan. Stir fry for 2-3 mins. 7. Sprinkle salt and stir fry for another minute. Then ready to serve. I love vegetable stir fry!